WWW, September 2014 - Digital download, vinyl, CD, or a combination: the formats vary, the source does not. That source being the UK DUB Twins Alpha and Omega with a brand new release on their Steppas Records label. Nine vocal tracks featuring a world wide group of singers alongside their DUB counterpart carrying the unmistakable Alpha and Omega sound. Dub Dynasty is Alpha and Omega and Alpha Steppa: yes, the next generation. Son and nephew, to be exact. With that out of the way, let's talk about the music. Thundering is the right word for the floor-shaking bass sound that we're used to when it comes to AO productions. This double vinyl release doesn't lack any of it. 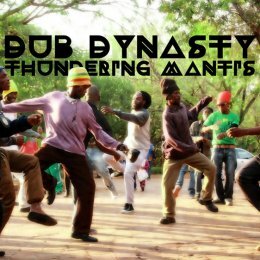 The real interesting part of Thundering Mantis is the fact that not just do we have a whole range of vocalists ranging from a more meditative eastern style talk to heartical singing (Prince David), there is an equal amount of producers who lent some of their material to Alpha and Omega. It's Alpha and Omega, yes, and it's more. With two vocals and two dubs featured on Radio Dubroom 2014 Chapter Eight, you can get an idea. 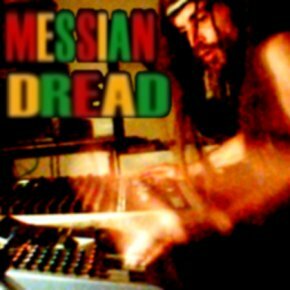 This is a musical release that's, well, kind of obligatory when you are into the more heavy side of Sound System DUB. Whether you're into digital download, CD or just plain vinyl for that bass sound the choice is yours. Whatever you do: support the independent DUB movement with your purchase, it's so much needed.